Apart from being a prestigious museum in the city centre, the Scuola is also an evocative place for hosting different kinds of events in Venice. The rooms are the ideal setting for planning unforgettable events: meetings, conferences, concerts, gala evenings, prize-givings, weddings and art exhibitions. Every event presented is exclusive and made to measure to meet every specific need. Its strategic location, even if close to the central Rialto area, is only ten minutes walk from the train station and bus terminal, making logistical movements in the lagoon city easier. 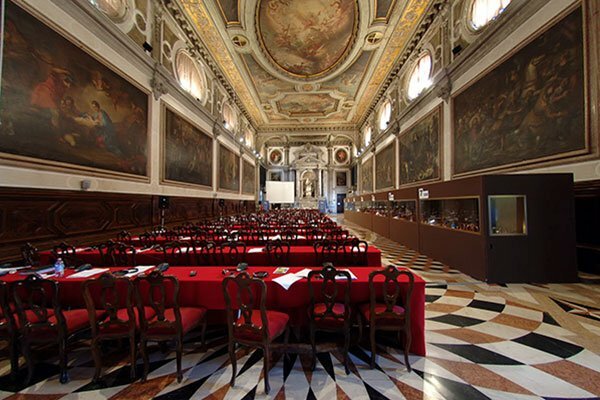 The versatility of the rooms offers the possibility of hosting up to 300 people in a single room, an absolute rarity in Venice, and of organising subcommittee meetings and workshops. Lunches and coffee breaks for 300 people can be provided in a different room from the meeting hall by outside catering companies. 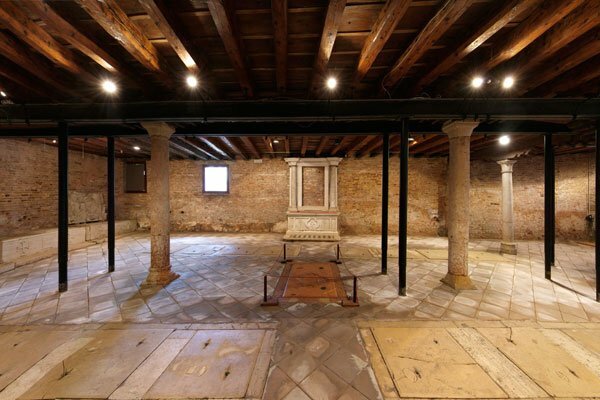 The monumental nature of the buildings offers an added value in introducing Italian and international guests to the peculiarities of a centuries-old Venetian institution with guided visits to the Museum on request. 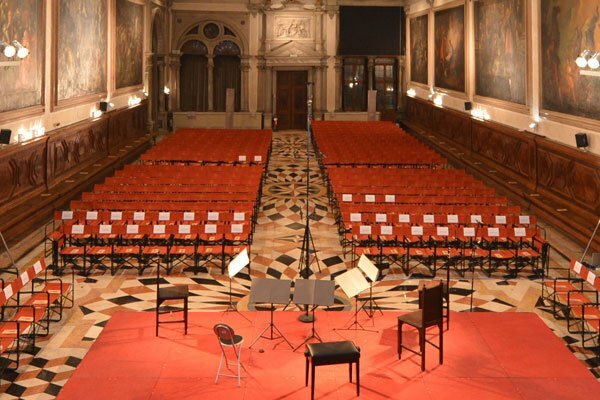 The services and spaces in the Scuola Grande are managed by a specially established company, San Giovanni Evangelista Servizi srl, which takes care of all aspects related to the use of the Scuola rooms by third parties. It manages a complex of 2000 square metres consisting of the monumental halls, rooms of various size, a church, an exhibition area and a garden. 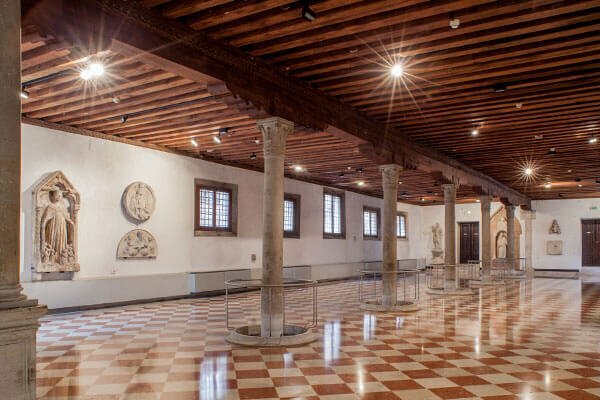 A prestigious museum, located in the centre of Venice, an ideal place for holding meetings and conferences. The San Giovanni Room has proved over time to be a first-rate concert hall thanks to its excellent acoustics. A prestigious museum, the ideal place for holding an exclusive event like a gala evening. The Badoer exhibition space is a rectangular space of 200 square metres that can host art exhibitions. 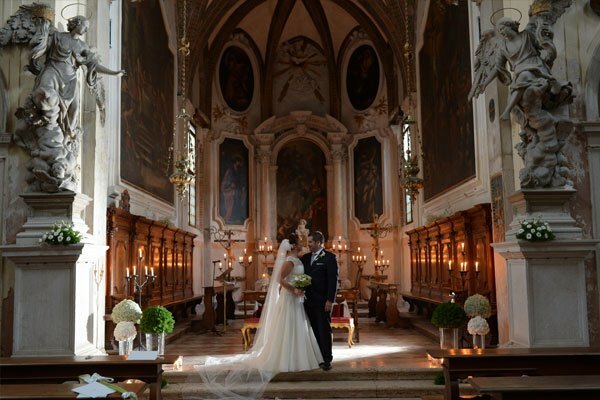 The Church of San Giovanni Evangelista, the rooms of the Scuola and the garden where you can celebrate your wedding. 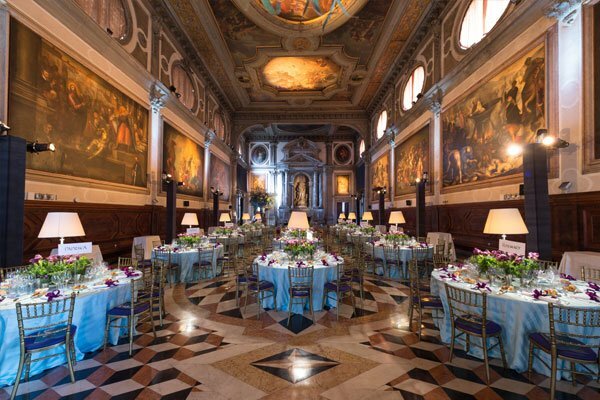 The Scuola Grande owns annex areas for use by the catering service. The nearest mooring to the Scuola Grande for water taxis is fifty metres away, and for large tourist launches 500 metres. Unloading goods and materials by several suppliers can be carried out simultaneously through the three water doors.